We have two fantastic new designs over at Anglotees.com this week. 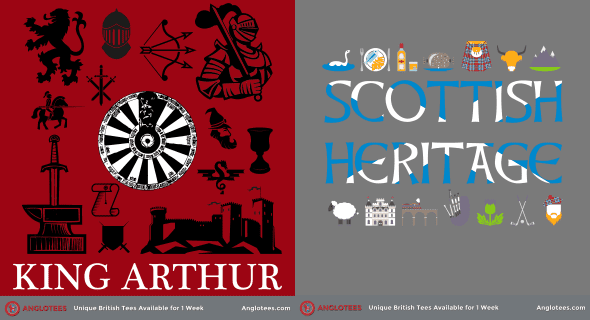 First up is a much requested design – a King Arthur related design. So, we’ve put together some great artwork about Britain’s favorite legendary King. Next up is a new tribute for those with Scottish Heritage. Both designs are available for 1 week only.